SeaWorld‘s annual family festival returns for it’s second year in the months of January and February in 2013 catering specifically to families with young children that is simply stated Just For Kids. The Just For Kids family event will feature programming specifically targeted to preschool age children including touring shows of the Imagination Movers, Choo Choo Soul with Genevieve, Laurie Berkner, and the Kratt Brothers Life featuring the stars of Wild Kratts. Event days for each of the shows in 2012 were held on Saturdays with showtimes of 11 AM and 2 PM at SeaWorld’s Nautilus Theater. Tickets for the Just for Kids Concerts will be distributed across from the Nautilus Theater starting at 9 AM each concert day on a first come, first served basis until all tickets are distributed. In addition to the family concerts, there will be a DJ on hand playing kids songs along with sea-themed arts and crafts and other interactive activities. 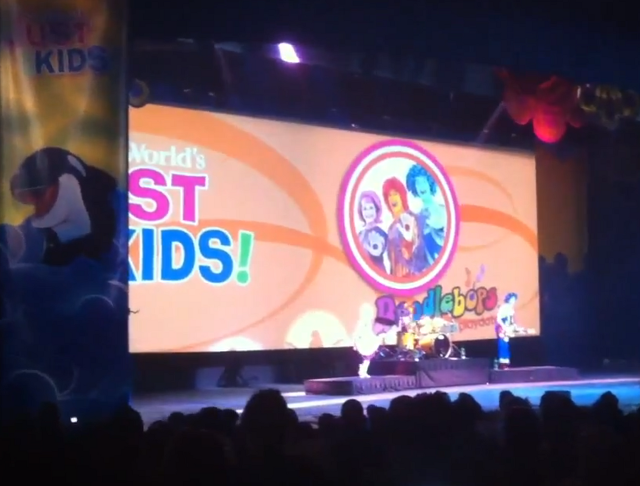 As part of the Just For Kids event, you can guarantee your seat for that particular days show if you sign up for a character breakfast at SeaWorld with Elmo and other Sesame Street characters. For 2012, SeaWorld offered a free annual pass for Children age 5 and under with proof of the child’s age with birth certificate that could be found here (registration is now closed at the time of this writing) that was also good for Busch Gardens called the PreSchool Pass. We will update this article if they make the pass available again for 2013.